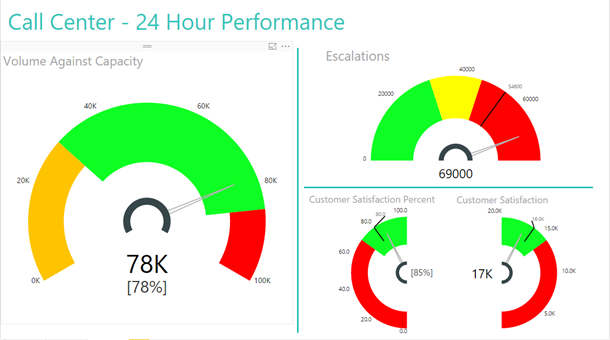 The Community plays an invaluable role in extending the reach of Microsoft Power BI and its capabilities through the palette of custom visuals. We have witnessed efforts and contributions in this regard from individual teams from many organizations catering for data management, analysis, and insights over the course of the last few years. Now, we are beginning to see organizations taking this up at a broader organization-wide approach. 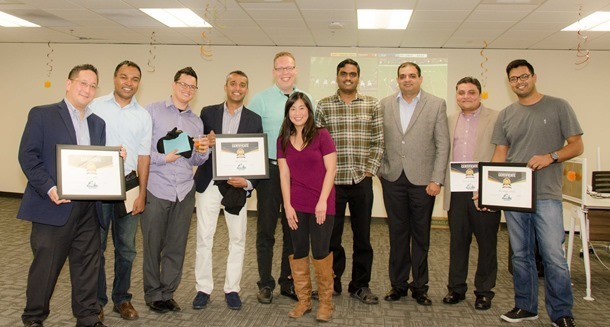 One of Microsoft’s preferred suppliers for Business Intelligence solutions, Annik, has been driving advanced Power BI capability across its organization and for the benefit of its customers, using an internal community-focused approach including depth training, champions, and culminating with a competitive contest. “The goal of the Annik Power BI Challenge program is to skill-up, inspire creativity and demonstrate prowess in advanced Power BI functionality from custom visual creation until publish,” described Justin Tomboulian, Annik’s executive champion. Annik allowed teams to nominate themselves for a community-driven approach with guru training camp and mentoring on their way to a competitive showdown of finalist teams presenting their Custom Visual creations to a panel of judges. As Challenge participants were located at various global locations, Annik made full use of the Microsoft Collaboration and Messaging Platform including Office 365, Skype for Business, SharePoint and Yammer to conduct and record online training, idea and best practice sharing, announcements and social interaction, administration and feedback, providing access to share information and level the playing field. While the community meet and interacted virtually, Challenge teams developed and built their custom visual creations on their own time and with the support of co-located champions. At the end of the Challenge, three winning teams stood tall based on five criteria areas: Scenario, Aesthetics, Usability, Innovation, Customizability, and Capability. They will share in the cash prices and organization-wide recognition. The Annik Challenge teams will continue to improve and enhance their Power BI Custom Visuals with goal to make them usable for commercial reporting scenarios. 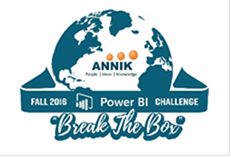 Interested to learn more about the Annik Power BI Challenge? Please check out Annik Blogs.